Steven Smith takes a no nonsense approach to cooking but his dishes themselves are by no means run of the mill, with presentation in particular demonstrating the chef's impressive skill. He is influenced by Japanese cooking methods and ingredients, as seen in his Jersey Royals with crispy eggs recipe - the dish is served with a glorious sauce made from dashi, an umami seaweed stock. 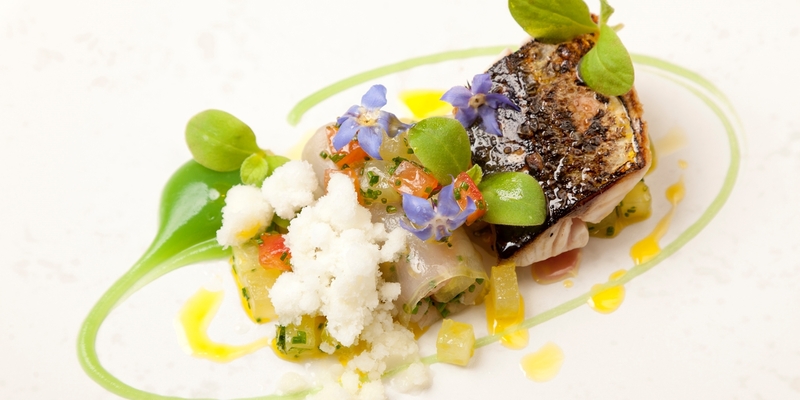 For a stunning - albeit tricky - starter dish, try his Mackerel and horseradish snow recipe, served with a vivid cucumber purée.